Everything's bigger in Texas, including the calorie counts. 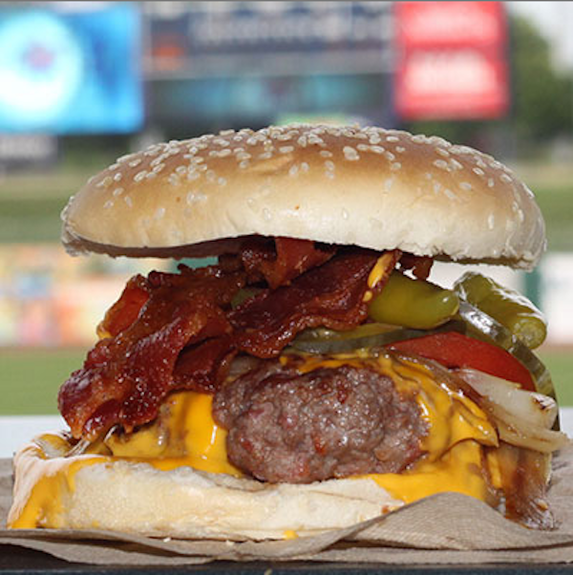 To reach an astounding 1380 calories, the Texas League Squealer features a half-pound burger patty that's equal parts beef and bacon. It's topped with cheese, sport peppers, pickles, fried onions, tomatoes and, wait for it....more bacon. 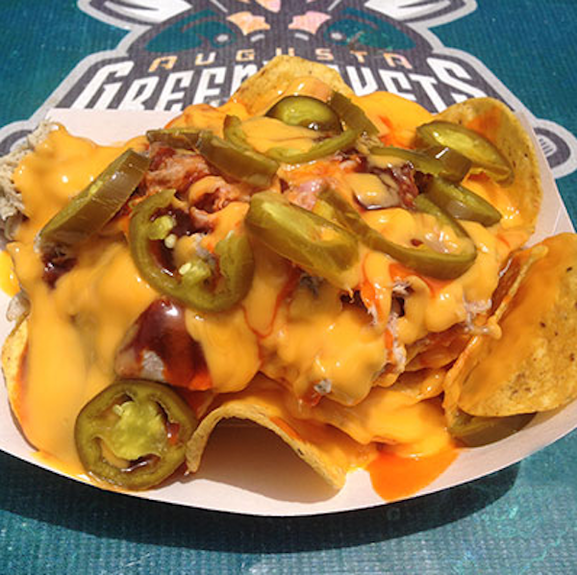 Keep clicking for more mesmerizing snack concoctions found at ballparks this summer. 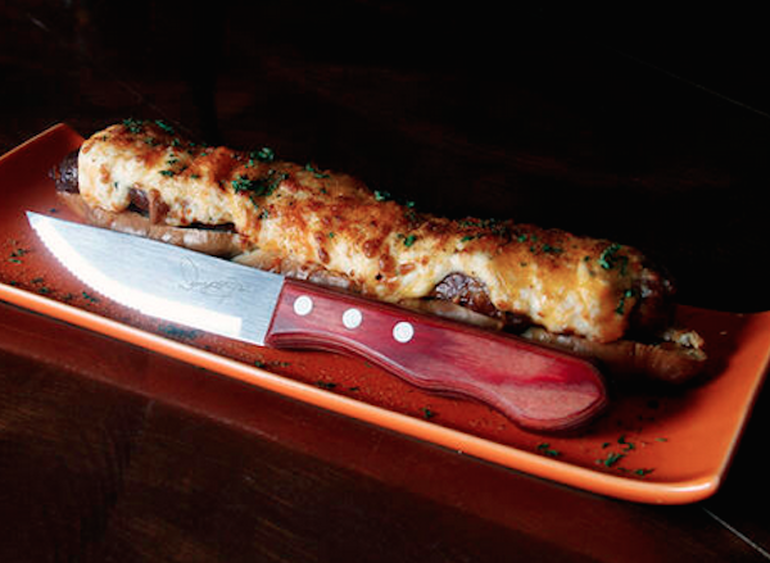 It's not just BBQ, and it's not just nachos. It's BBQ Nachos. A bed of nacho chips is smothered with BBQ pulled pork, the "South's best BBQ sauce," tangy buffalo sauce, spicy nacho cheese and jalapeno peppers. Wanna score a free meal at the ball game? 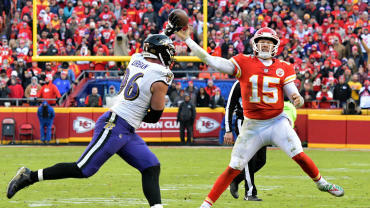 That's what winners of the CLAWlossal Challenge get if they just eat a half-pound chili & cheese hot dog; an 8-ounce burger; a pulled-pork BBQ sandwich; a corn dog; five onion rings; pub chips; two jalapeño poppers; and two pickle spears, all in the time it takes to play a single inning. No sweat, right? You know you're in Pennsylvania when your one-third-of-a-pound hamburger is served on a pretzel bun and topped off with a heap of meat, plus provolone or cheese whiz, peppers, onions and home-made horseradish mayo. 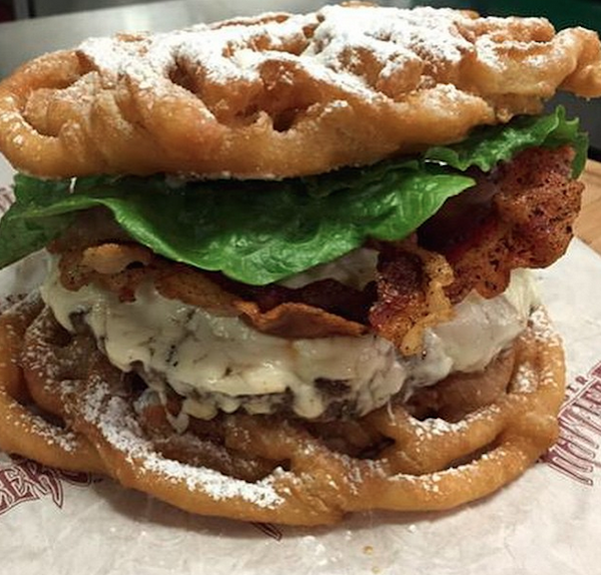 The Wisconsin Timber Rattlers are notorious for featuring wild and wacky eats. 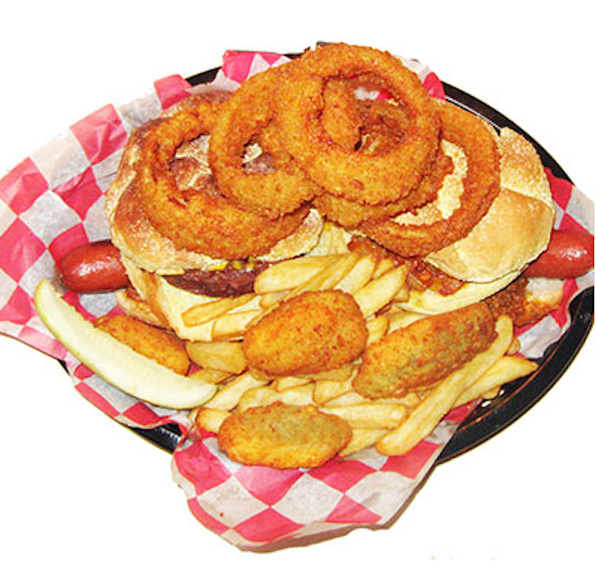 One of their latest creations is the Big Mother Funnel Burger, a 1-pound burger topped with a half-pound of cheese and six slices of bacon, all deliciously tucked between two funnel cakes. Worlds collide with the Memphis Meets Mexico Juarez Dog! 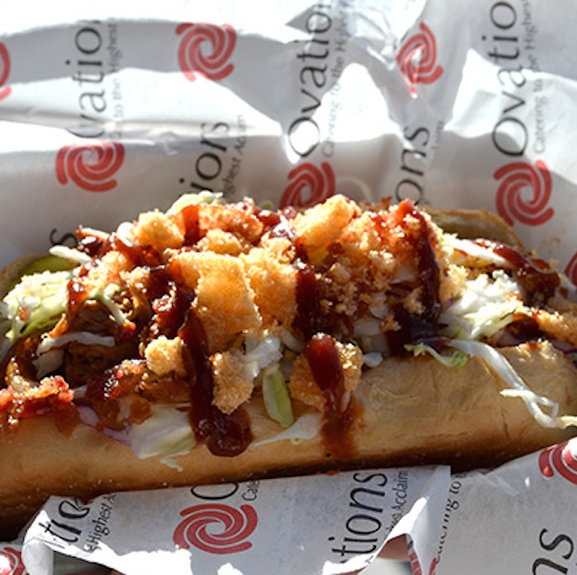 This bad boy consists of a quarter-pound hot dog wrapped in bacon (a traditional Mexican street food) loaded with pulled pork, BBQ sauce, dill pickles, candied bacon, cole slaw, and more deep fried pork in the form of chicharrones. 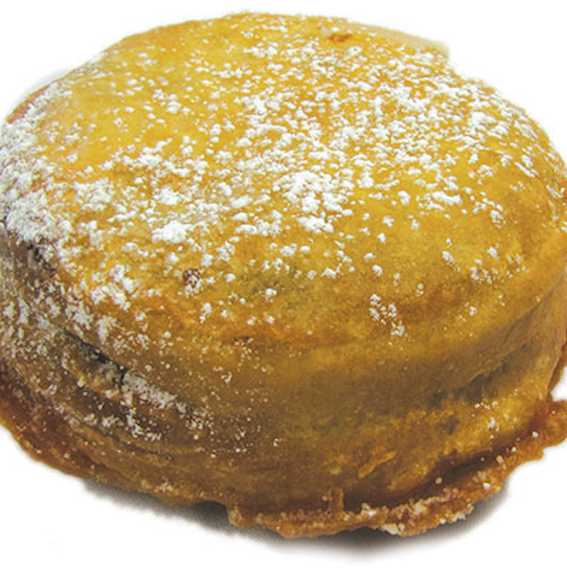 The Deep Fried Moon Pie soothes the sweet tooth by sandwiching a big marshmallow between two chocolate-covered graham crackers. The treat is then deep fried in funnel cake batter and sprinkled with powdered sugar. For those looking for something other than beef or pork, the Lakewood Blue Claws' Triple C fits the bill. 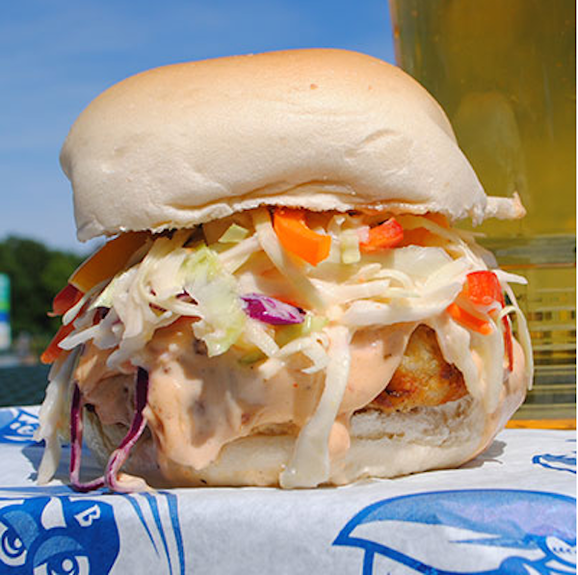 This sandwich features a hefty half-pound crab cake topped with mango and pineapple slaw, all smothered by a chipotle ranch cream sauce. Nice way to enjoy some seafood when you're on the Jersey Shore! 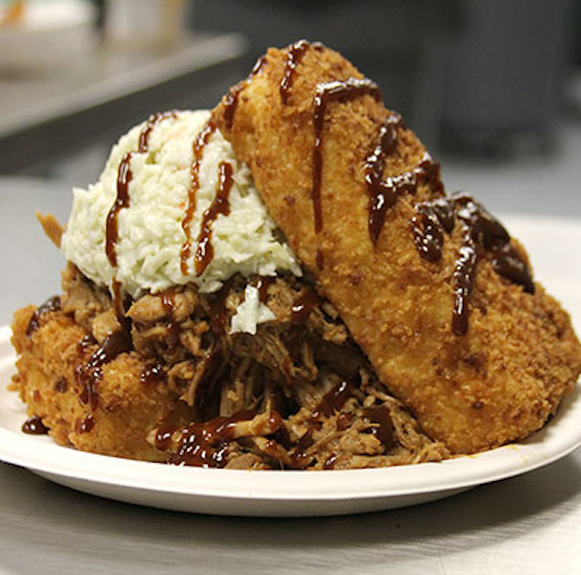 In a twist on the classic pulled pork sandwich, the Loons replace traditional buns with a couple of deep-fried mac n' cheese slabs, topping it all off with crunchy cole slaw and BBQ sauce. 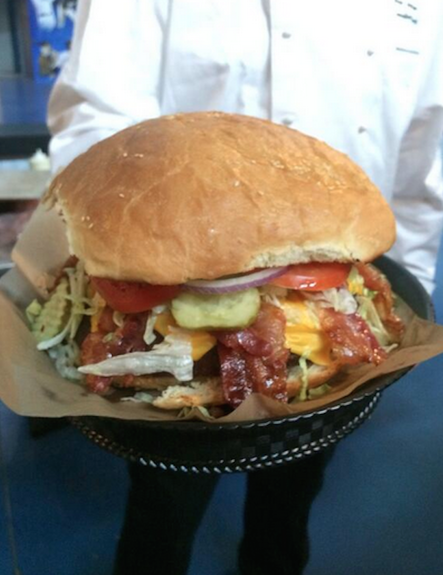 The Rays lay down the gullet gauntlet to their fans with their Fan vs. Food Burger. 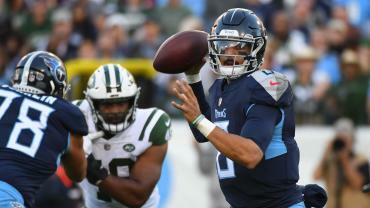 Finish this monstrosity of a 4-pound burger - and accompanying pound of french fries - and you'll win a shirt and two tickets to a future game ... if you're not already in the hospital. Breakfast for dinner is always fun, and eating both at the same time is even better. 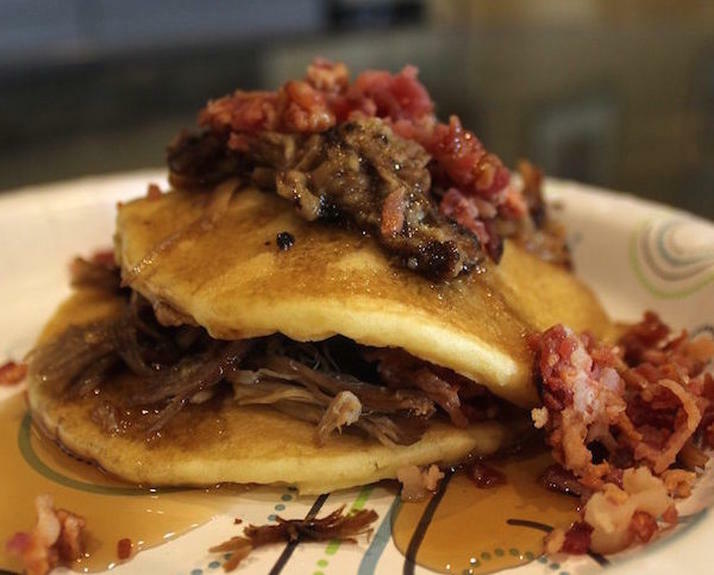 The Joey Pankakes platter makes that possible with a pile of pulled pork stuffed between two pancakes. Throw some bacon on top, douse the whole thing in syrup, and Joey's your uncle. 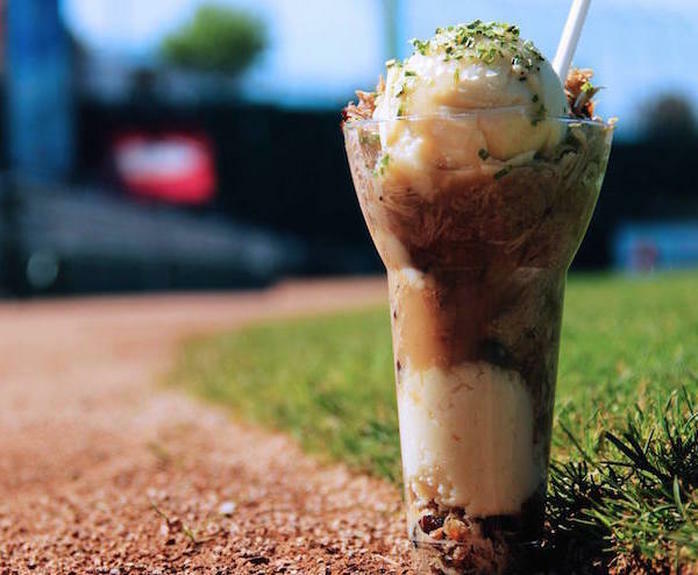 It's dessert-ish in appearance, but the Lansing Lugnuts' Pulled Pork Parfait is anything but. 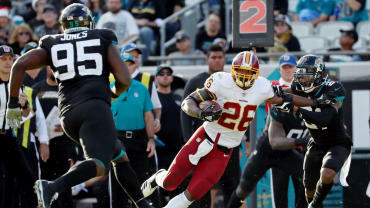 It features a layer of mashed potatoes and pulled pork, topped with another layer of mashed potatoes and pulled pork, which is then drenched in pork gravy and topped with chives, all loaded together in an old-fashioned parfait cup. 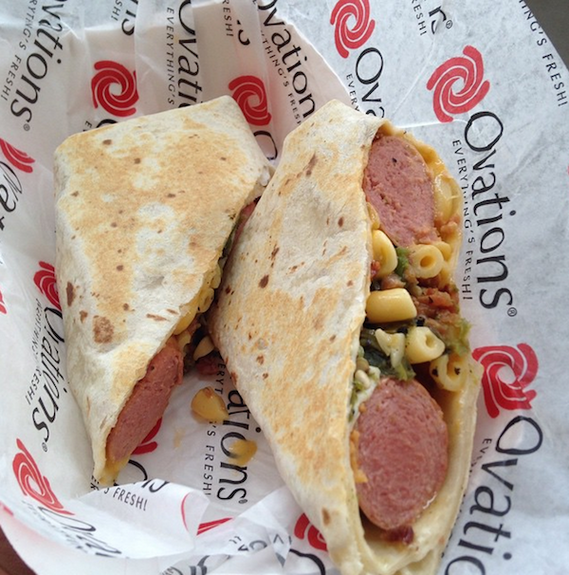 The Albuquerque Isotopes put a local twist on the traditional hot dog with their recently unveiled Orbit Dog, which consists of two beef hot dogs, mac 'n' cheese, bacon bits and New Mexican green chiles, all wrapped up snug in a flour tortilla. With a name like The Walk Off, you've gotta come strong. The Orioles did just that by covering an Old Bay Roma sausage in a pretzel roll and topping it with Old Bay crab. They also added a pretty impressive knife. 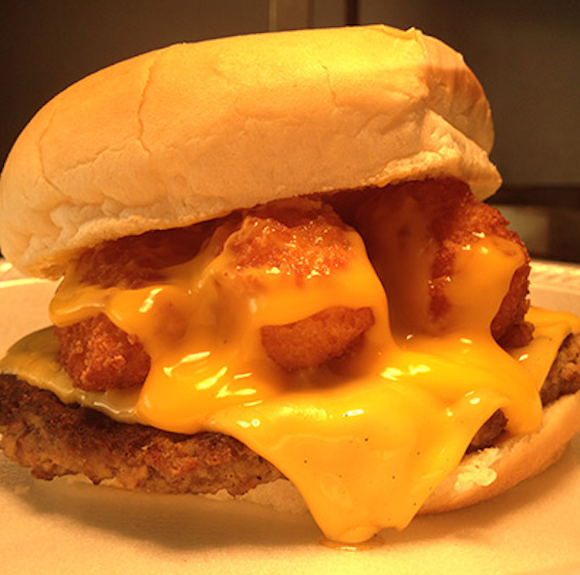 The love for cheese knows no limits in Wisconsin, as evidenced by the True Wisconsin Cheeseburger. Wisconsin cheese curds top a traditional cheeseburger doused with smooth nacho cheese sauce, satisfying even the biggest of cheeseheads. These aren't the bats and balls you'd expect to find at a game. They're good ol' Rocky Mountain oysters! Go to a Missoula Osprey game and you can enjoy yourself a bed of spuds covered in deep fried, floured and flattened bull testicles. Because, why not? 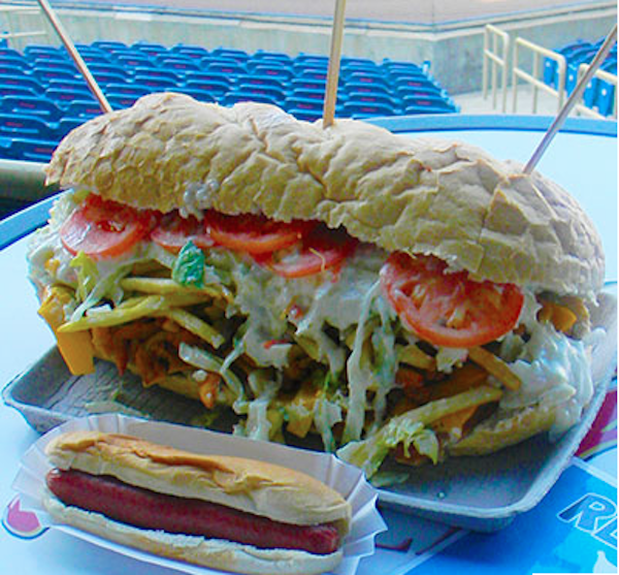 By combining a couple of ballpark food favorites, the Fresno Grizzlies made national headlines. 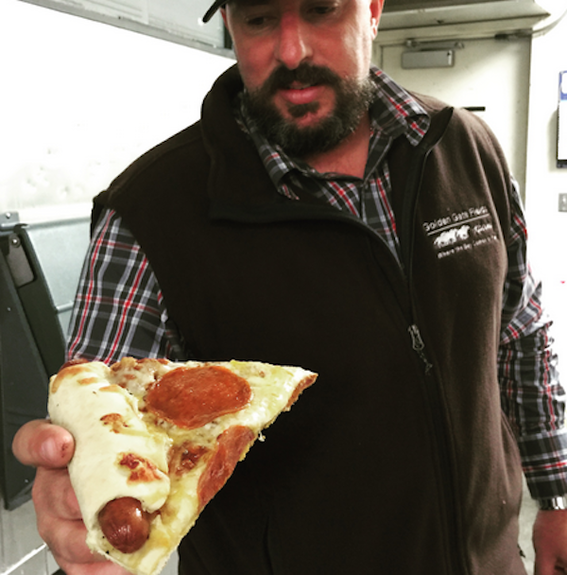 The aptly-named Frankenslice is a pepperoni pizza with a hot dog rolled in the crust, cooked over a peach wood smoker. 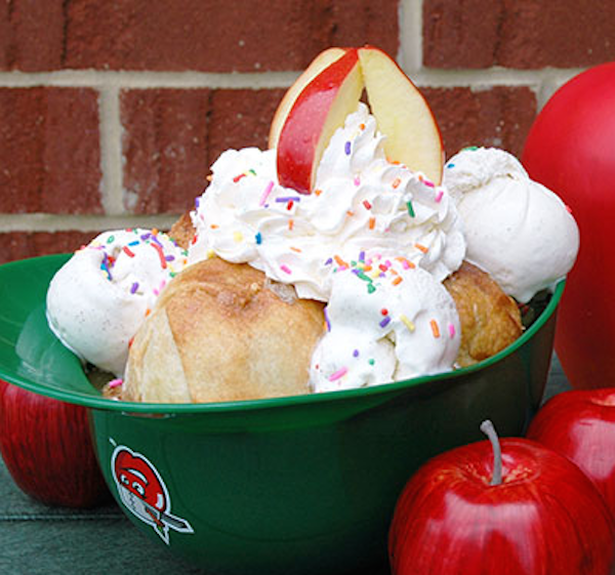 In a tip of the cap to apple lovers everywhere, the Fort Wayne team takes its signature Apple Crisp, places it in a full-size souvenir batting helmet, and accessorizes it with four homemade apple dumplings, five scoops of vanilla ice cream, whipped cream, hot caramel, and sprinkles. Final touch: a few fresh red delicious apple slices. 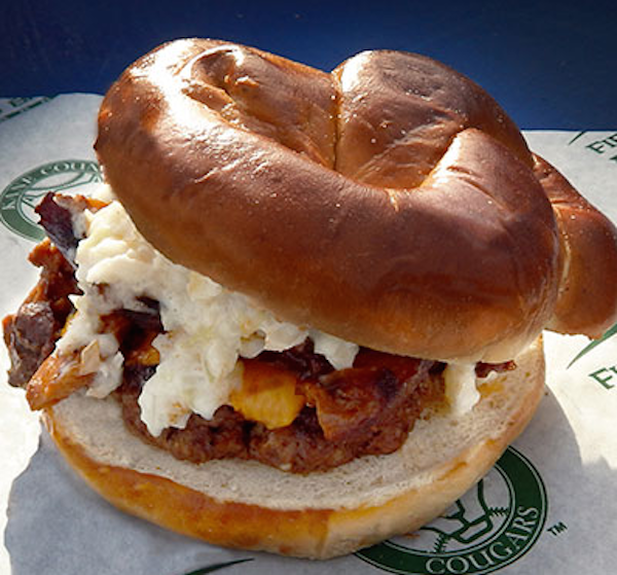 Anything with the name "Colossus" had better be big, and the Kane County Cougars' Colossus Burger is all that and then some. A pretzel roll replaces a traditional bun. It's filled with third-pound of a pound of Angus beef, plus American cheese, homemade BBQ pulled pork, and creamy coleslaw. The San Jose Giants put some spice in their fans' lives with a creation they call The Heater. It starts with a Louisiana Hot Link on a sandwich roll. 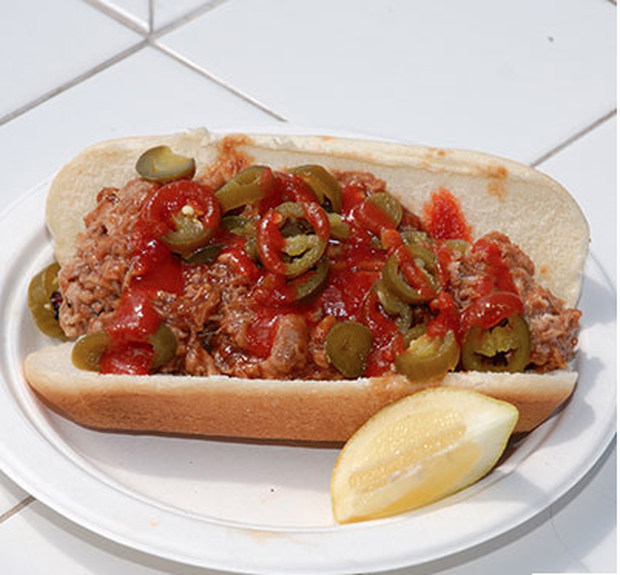 Pulled pork, jalapenos and sriracha sauce are all in there, too. 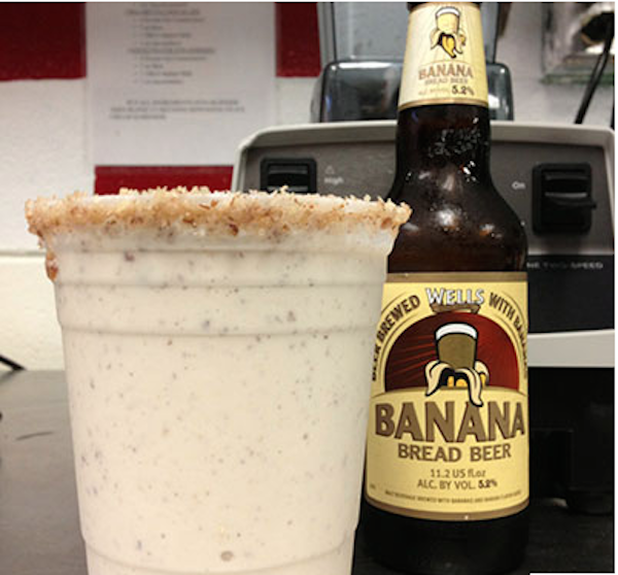 Another combination of two things almost everybody loves, the Beer Shake has been a fan favorite for more than four years. This concoction combines beer, ice cream, syrups and malted milk powder. Flavors include Guinness Caramel, Well's Banana Nut Bread and Lazy Magnolia Southern Pecan. 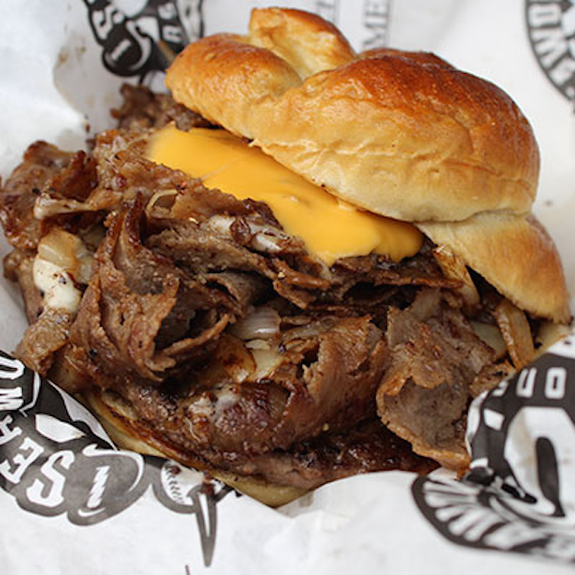 A triple play is one of the rarest feats in all of baseball, so a sandwich by the same name has a lot to live up to. 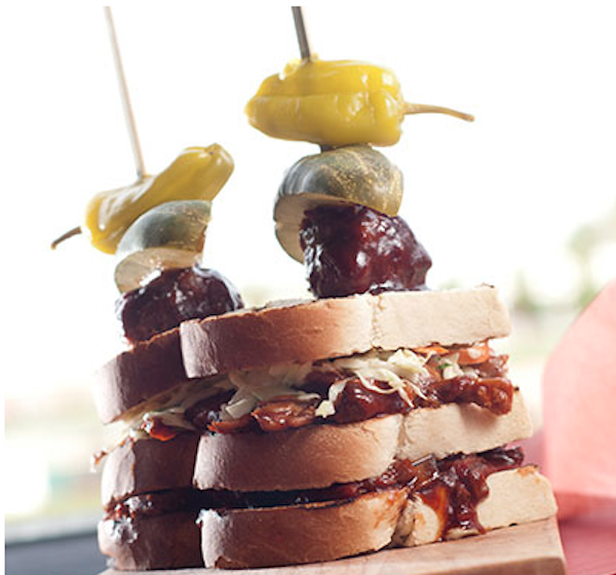 The Reno Aces Triple Play Sandwich piles hefty portions of beef brisket, pulled pork and cole slaw between three slices of pullman bread. It's pulled together with skewers containing BBQ meatballs, pickles and cherry peppers. 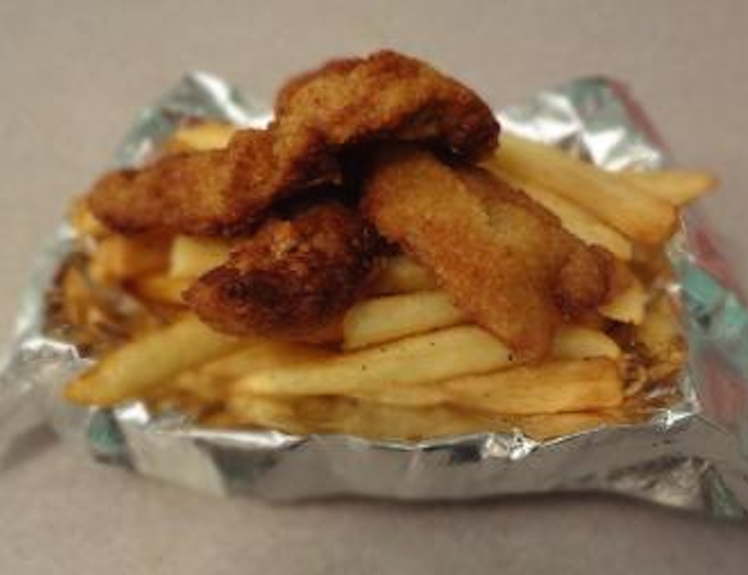 The Lake County Captains created this monstrosity of a sandwich by filling a 15-inch sesame seed roll with an insane five, quarter-pound fish fillets; eight slices of cheese; 6 ounces of clam strips, one-third of a pound of French fries, and a cup of cole slaw. Of course there's also lettuce, tomatoes, pickles and tartar sauce!